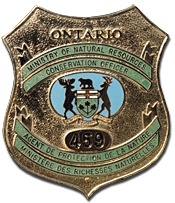 An Elliot Lake couple received $5,000 in fines as well as hunting licence suspensions for illegal bear hunting and attempting to cover up their actions. Larry Gordon pleaded guilty to hunting a black bear without a licence, unlawfully using another person’s licence, unlawfully abandoning flesh suitable for food and obstructing a conservation officer. He was fined $4,500 and received a three-year hunting suspension. Karen Howorth pleaded guilty to allowing someone to use her licence and obstructing a conservation officer. She was fined $500 fine and received a one-year hunting suspension. In addition, the gun used in the incident, the bear hide, and the meat were permanently forfeited to the ministry. Court heard that on October 10, 2012 Larry Gordon illegally hunted a black bear without a licence. He then had his spouse Karen Howorth purchase a bear licence the following day. He attached her game seal to the bear and notched it to indicate the bear was shot on October 12. He later took the bear hide and only a small portion of meat and abandoned the rest of the carcass in the forest. When a conservation officer began investigating the abandoned bear carcass, both Gordon and Howorth provided false statements in an attempt to obstruct the investigation. Justice of the Peace Pierre LeClerc heard the case in the Ontario Court of Justice, Elliot Lake, on December 19, 2012.